Few days back, Xiaomi launched its latest flagship phone Xiaomi Mi 8 in China. The phone comes with edge-to-edge display but features a notch. I was not expecting notch from Xiaomi because I have seen how perfectly it managed been-less phone in Mix series. But it went ahead to follow the trend most people hate. 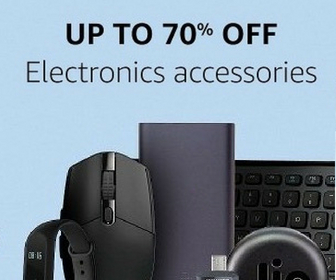 Xiaomi has copied lots of things from iPhone X. The new Mi 8 features a 6.21-inch AMOLED display with Full HD+ resolution. The display notch houses 20 megapixels front camera, earpiece, proximity sensor, Infrared lighting and infrared lens. 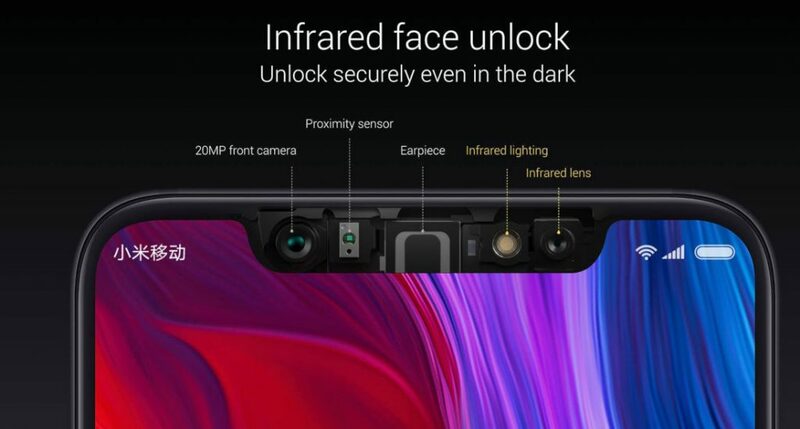 The infrared sensor is used for Face unlock. The phone has 88.5% screen-to-body ratio. It sports a glass body with 7 series aluminum frame. The regular Mi 8 features a fingerprint sensor on the back but there is also a Mi 8 Explorer Edition with in-display fingerprint sensor and transparent back. It has dedicated pressure sensor that activates unlocking more quickly. MI 8 Explore edition also copies Apple’s Animoji. It has 3D face recognition that uses advanced structured lighting technology to capture 33,000 facial points. You can use this to crate emojis based on facial expressions in the same way you could in iPhone X. The Xiaomi Mi 8 Explorer Edition can also be seen as its “8th Anniversary” flagship. The phone is powered by 2.8GHz Octa-Core Snapdragon 845 64-bit 10nm processor with Adreno 630 GPU. Regular MI8 comes with 6 GB RAM and 64GB / 128GB / 256GB (UFS 2.1) storage. The explore edition packs 8GB LPDDR4x RAM with 256GB (UFS 2.1) storage. Xiaomi Mi 8 has vertical dual camera setup on the back and setup is also the same that we saw in iPhone X. It has 12 megapixels primary camera with 26mm wide-angle lens, 1/2.6″ Sony IMX363 sensor, f/1.8 aperture, 1.4µm pixel size and 12 megapixels secondary camera with Samsung S5K3M3 sensor, f/2.4 aperture, 1.0µm pixel size and 2X zoom. The camera also features 4-axis OIS, Optical zoom and 4K video recording. The phone has 20 megapixels front camera with real-time AI portraits. The phone also features AI-powered portrait modes. It also uses AI to identify scenes and apply the best camera settings. It also features “Studio Lightning: portrait photography, inspired by Apple. 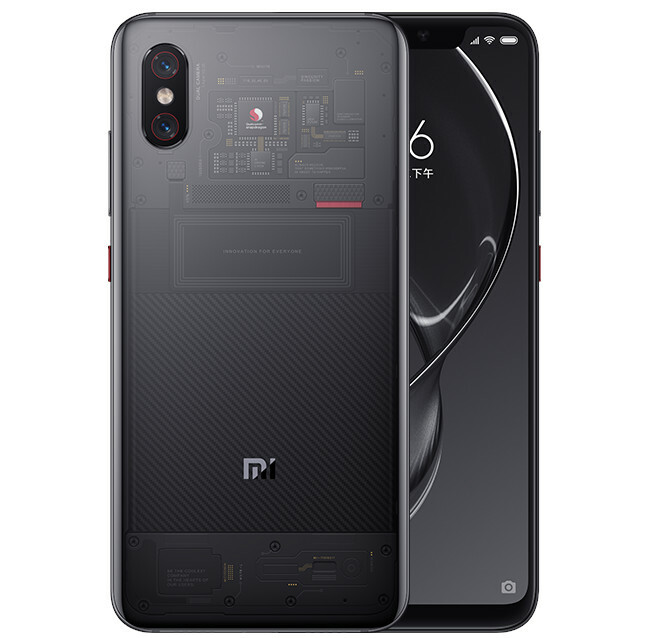 It also got a score of 105 in DxOMark’s rankings. The regular Mi 8 features 3400mAh battery but the explore edition packs 3000 mAh battery. Both the models support to Quick Charge 4+ fast charging. There is also a Mi 8 SE with bit smaller display and less powerful specifications but similar design as in Mi 8. Mi 8 SE features 5.88-inch Full HD+ display. It packs octa Core Snapdragon 710 10nm processor with Adreno 616 GPU. It comes in 4GB / 6GB LPDDR4x RAM models and 64 GB storage. The phone has dual camera setup with 12 megapixels primary sensor and 5 megapixels secondary sensor. It also has 20 megapixels front camera. It packs 3120 mAh battery with support to Qualcomm Quick Charge 3.0. Mi 8 SE is less powerful and smaller but sports same form factor and notched design. The Explorer Edition is the premium phone out of the three. The transparent glass back shows off the internals. In terms of software, all these phones run Xiaomi’s MIUI 10 skin on top of Android (Oreo expected). Xiaomi is also packing its own Xiao Ai voice assistant. Mi 8 features features dual-frequency GPS, supporting both L1 and L5 bands. So, the phone can offer much more accurate navigation. 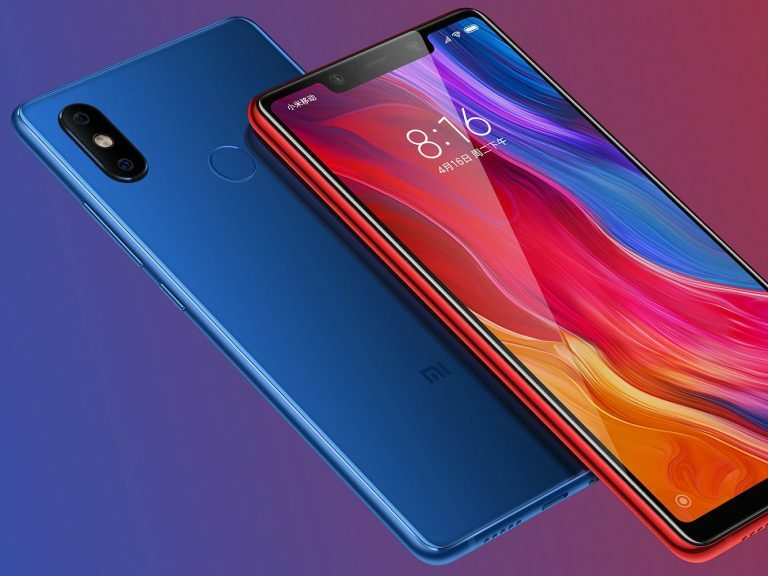 So, we can say that Xiaomi has tried to copy iPhone SE, iPhone 8 and iPhone X with its Mi 8 SE, Mi 8 and Mi 8 Explore edition. Xiaomi Mi 8 will be available in China on June 5 but the i 8 SE is due to be released on June 8. Mi 8 Explorer Edition will be launched in coming months but the company has not confirmed the availability details. Xiaomi Mi 8 comes in Black, Blue, Gold and White colors. After the poor response to Mi 5, Mi Mix and Mi Mix 2, I am not expecting Mi 8 in India. Xiaomi also skipped the launch of Mi 6 in India as well for the same reason.